Ok, hold on. I never ONCE saw anyone try to clean one of those pans in those old westerns I saw as a kid! And that’s where I believe a lot of people nowadays hesitate when it comes to buying or using cast iron. Well, hesitate no more! 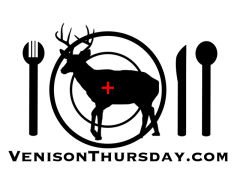 If you are reading this, you are likely a hunter. And if you are a hunter, you NEED to have some cast iron in your kitchen arsenal! If not, you should start out with at least a skillet, or better yet, a set of skillets. When do you ever just fry one thing at a time? Having two or three pans will help to keep dinner prep moving along. Why cast iron you ask? I’ll answer your question with another question: how long do those crappy “no-stick” pans last you? And I don’t even want to think about what makes them no-stick. Magic? That would probably be safer going through your system. Cast iron cookware has been around a long time, and for good reason. 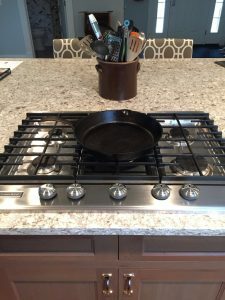 When it’s properly taken care of, it’s easy to use, easy to care for, and will likely save you money if you have been replacing scratched pans every few years. 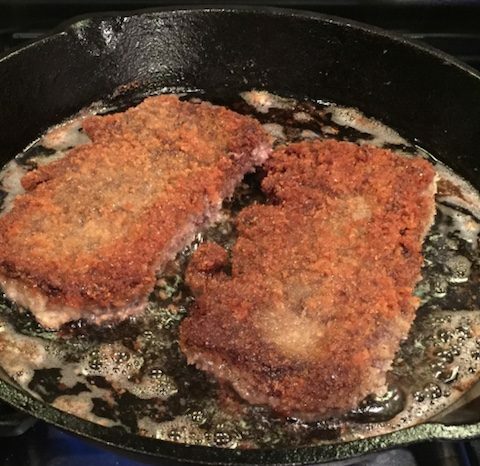 Once you have a good cast iron pan, you need to season it. Most new ones that you buy today come pre-seasoned. If not, it will have instructions on it how to season it. This is usually as easy as scrubbing real good, drying, applying a thin coat of vegetable oil, and putting in the oven on low (325ish is good) for an hour. Piece of cake. The more you use it, the better it will be. The initial seasoning is a good start, but be prepared for things to stick the first time you use it, especially if you go light on the oil/butter. 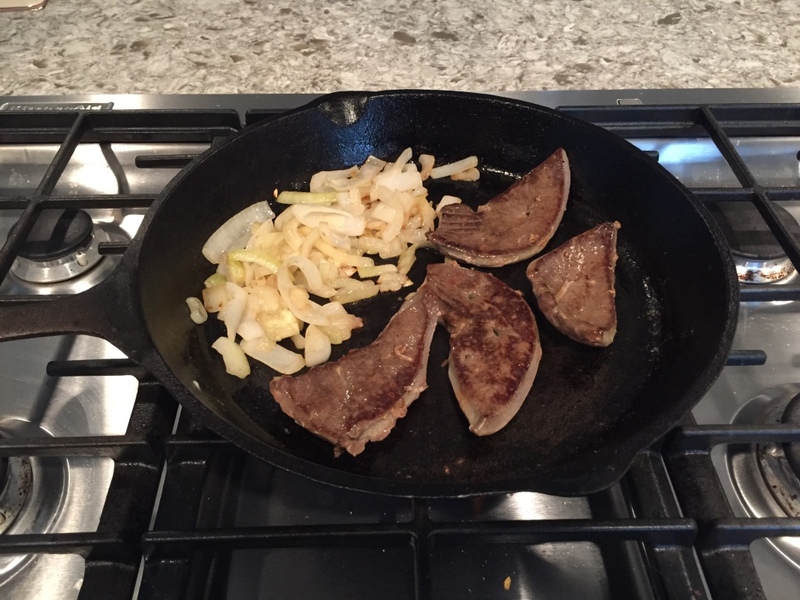 This is actually one of the reasons cast iron is great to cook venison with: venison is lean. By needing to use a little extra “fat” for cooking, it will keep that steak from drying out and turning to leather. 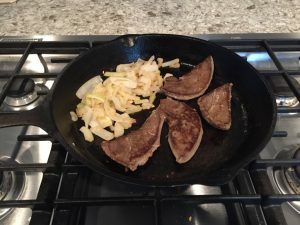 In my opinion, a pan fried venison steak beats a grilled venison steak every time. When you grill, the moisture and little bit of fat in the steak just cooks out. In a pan it stays there. But I digress, back to the pans..
Once you’ve used your pan, clean up is as easy as running under hot water and wiping out with a paper towel. Maybe that’s why the old westerns never showed that: paper towels hadn’t been invented yet. If something is cooked in pretty good, you have a few options to deal with it. You can throw some water in the pan and boil it for a bit to soften things up. I recommend also having a metal spatula to use with your cast iron pans. Use it to scrape gunk off before washing, or if you have to use the boil method, it helps to scrape as it simmers as well. These methods will clean your pans 99% of the time. 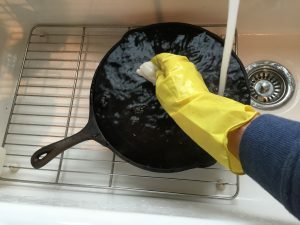 Simply using hot water and a paper towel will clean your well seasoned cast iron 99% of the time. When water alone doesn’t cut it, have no fear, all is not lost. All you need is some coarse salt. I always have some kosher salt handy for my brining, so dry out the pan a little, pour in a tablespoon or two of salt, and now scrub it with a paper towel. You’re basically doing a slow sand blasting. I have yet to have something so charred in this wouldn’t take care of it. Once the charred spots are set, go back to the hot water scrub/rinse, then dry it off. 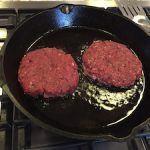 This process may seem a bit tedious, but even if it comes to the salt method, I find it’s much faster to clean cast iron than if I had charred a “no-stick” or stainless steel pan. Now that your pan is clean and dry, pop it back on the stove and crank the heat up for a minute to get the pan hot. Take another paper towel (damn, I REALLY want to know how those cowboys managed! ), and wipe a light layer of vegetable oil or shortening (I use shortening myself) over the entire surface. 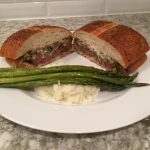 Let it cool, and you are good to go for your next meal! 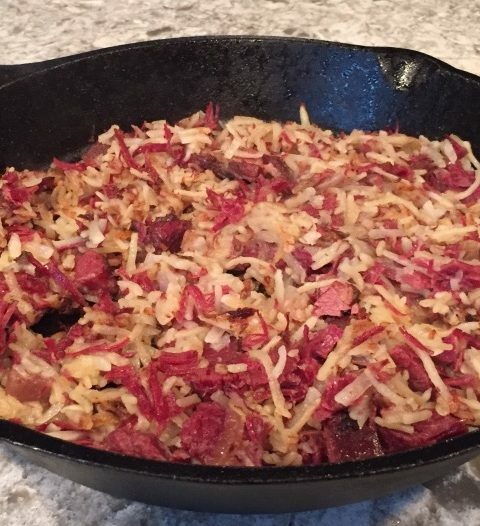 Once you start cooking with cast iron, you’ll find that you use it more and more. And the more you use it, the better seasoned it gets, and the easier clean up becomes. Then all you need to do is find a good home to donate those crappy old pans you never use anymore to..